Ever since entering the league, Kevin Durant has been one of the best players in the NBA. Ever since leaving the Oklahoma City Thunder to join the Golden State Warriors, Durant has won two championships in a row and has cemented himself as one of the best players of this generation. With all this in mind, it's no surprise that he has a signature shoe with Nike. 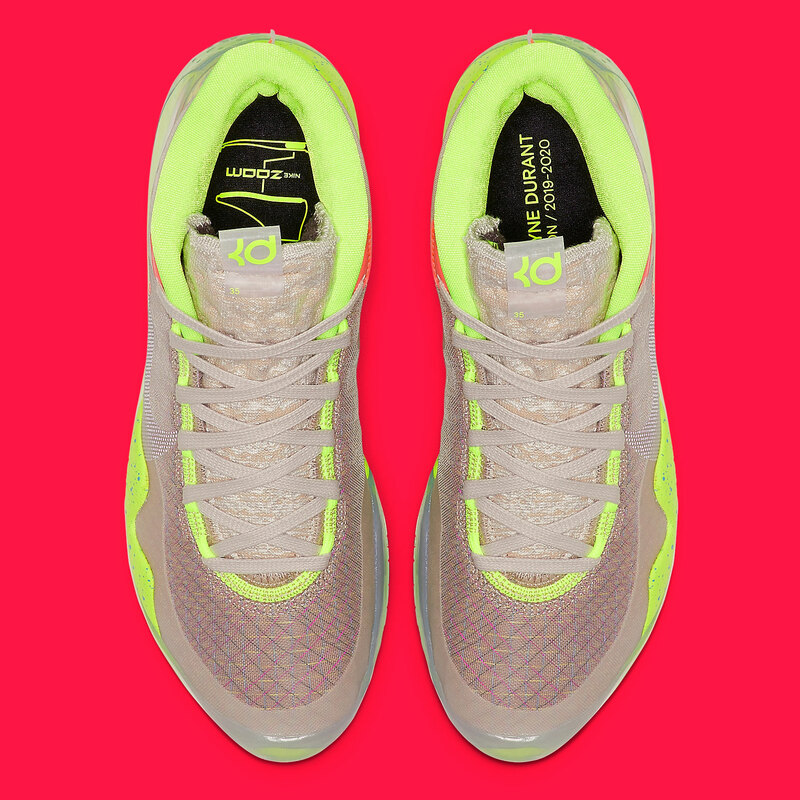 Every year we get a brand new KD model and this year is no different. Just last week, the Nike KD 12 was revealed to the world in some teaser photos. 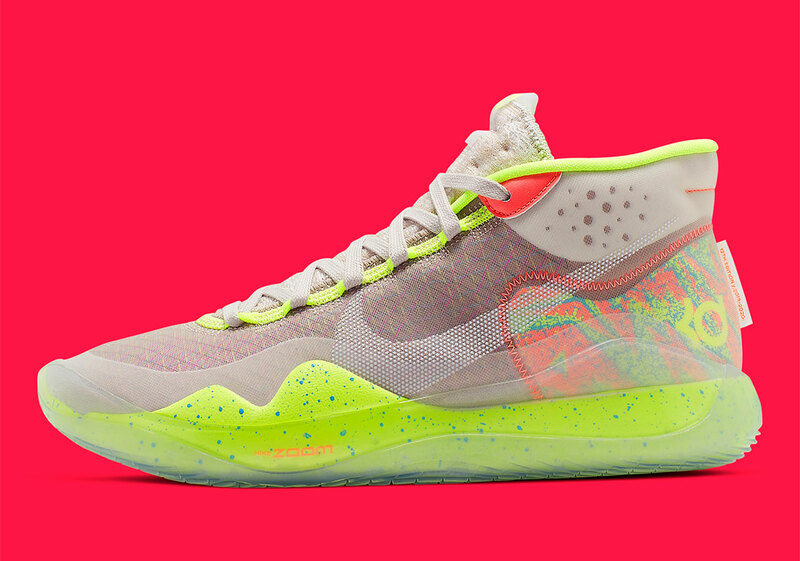 Now, we have an official look at the debut colorway, as well as some official images courtesy of Nike. 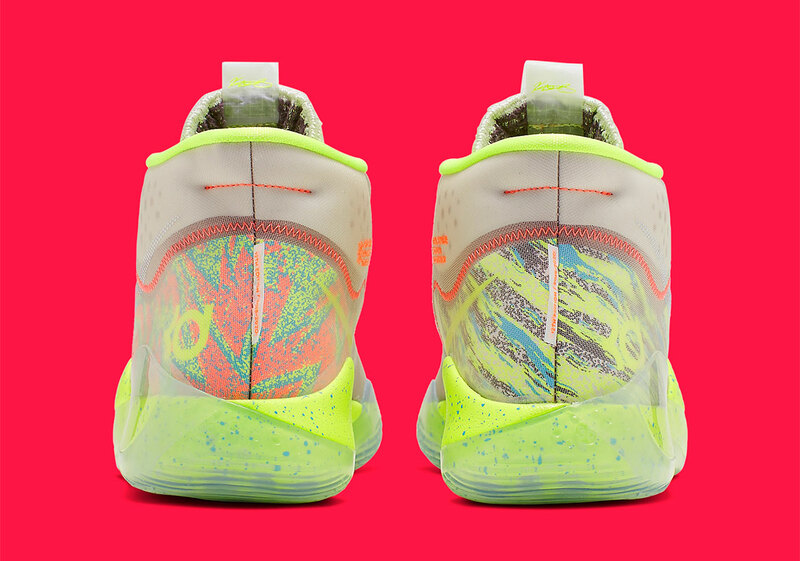 The first colorway of the Nike KD 12 is being dubbed as the "90s Kid" thanks to the colorful retro aesthetic of the shoe. The majority upper is dressed in a greyish tone that has a multicolor pattern weaved in. The midsole is dressed in yellow with some blue splatter, while the back of the shoe has some interesting graffiti motifs. Nike basketball enthusiasts who tend to lean toward the KD model will be thankful to know that these are coming out quite soon. According to Sneaker News, the official release date is April 1st and the shoe will retail for $150 USD.